ST235/80R16 Rainier tire LRE 10PLY on 8 Lug Black Mod rim. 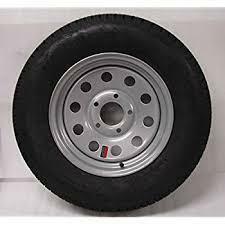 225/75r15 Provider tire LRD 8PLY on 6 Lug white spoke rim. 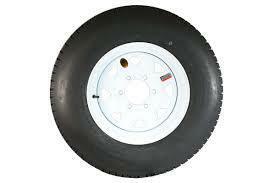 205/75r15 Provider LRC 6 ply tire. White Spoke 5 on 5 rim. 205/75r15 Provider LRC 6ply on 5 on 4.5 silver mod rim . 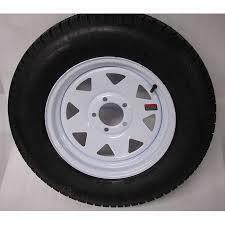 235/80R16 Provider tire LRE 10ply on 8 lug white spoke rim. 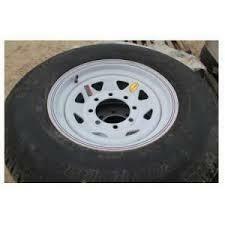 7k 8 Lug Hub Drum 9/16" Studs. Boxed / Greased. Complete with all Bearings, Seals, Hardware, and Dust Cover. 7k 8 Lug Hub Drum 1/2" Studs. Boxed / Greased. Complete with all Bearings, Seal, Hardware and Dust Cover. 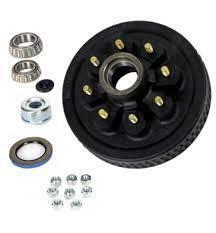 5.2k/6k 6 lug Hub Drum. Boxed / Greased. Complete with all Bearings, Seal, Hardware and Dust Cover. 5 on 5 Hub Drum. Boxed / Greased. Complete with all Bearings, seal, Hardware, and Dust Cover. 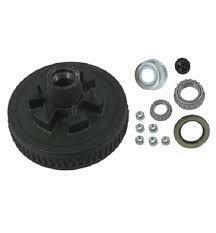 5 on 5 Idler Hub. 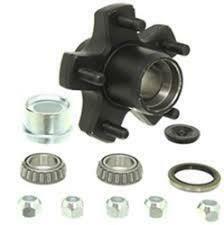 Boxed / Greased Idler Hub. Complete with all Bearings, Seal, Hardware and Dust Cover.